Applying for a credit card is not difficult. However, before applying for a credit card, you need to understand the features and type of credit cards in the market to suit your personal financing needs. We will guide you on how to apply for a credit card through different channels and the standard procedures involved. There is no single best card in Malaysia for everyone. 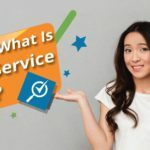 What is considered the “best” will vary from person to person, which is why in this guide we will discuss the different ‘persona’s’, with different needs in order to help you find the right credit card for you. There are several credit card types offering various features such as reward programs, cashback, air miles, balance transfer, and exclusive privileges such as premium deals, access to the premium lounges in the airport, and unlimited spending limits. In addition to better understanding the benefits you will enjoy as a cardholder, there are several other factors you need to consider when choosing a credit card. Starting from card features to suit your needs, the application process and document requirements, of which you can find out more in the sections below. Banks always advertise annual percentage rates (APR) to its customers. However, the effective interest rate represents the true economic cost of carrying a credit card. A credit card is one of the financing options that come with the highest costs. 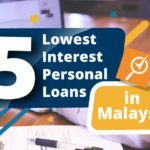 With EIRs ranging from 12% to 16% in Malaysia, it is important to find out the EIR of the credit card offered by banks which will be the interest rate charged to your outstanding credit card balance. However, most people can avoid paying the high costs if they manage to pay the outstanding amount every month. Other than APR, some banks charge an annual fee to credit card holders which can be as high as RM800 per annum. Before applying for a new card, you should understand your financing appetite and see if there is another similar credit card offering a lower fee, or better yet, zero annual fees. The range of annual fee for credit cards in Malaysia is between RM100 to RM800. Some banks offer annual fee waivers for certain credit cards and you should take this into consideration when it comes to choosing a credit card, to minimize your cost of applying for one. In order to pick the right card for yourself, we’ll help you understand the kind of spender or credit card user you are. We have listed the twelve common types of spenders in Malaysia and the best credit card that suits their needs. You are a fresh graduate or entry-level executive who just found your first job and you are looking to apply for your first credit card. You are not entirely sure about the different type of credit card features and how a credit card works for you. However, you wish to have a card that offers great savings at minimal costs and you are really excited to start enjoying your life with more financing flexibility. It can be hard for you to get your first credit card given you might not have a credit history. However, you can apply for a no annual fee credit card offered by many banks, specially designed for fresh graduates and you can use it for emergencies in the future. You look forward to enjoying the best in your life with exclusive deals and you love to spend your time scouting for the best dress and shoes anytime, anywhere. Most importantly, you want to be able to earn rewards or cashback from your spending and enjoy more savings at the end of the year or month! Like the new UOB Lady Card, you can enjoy 10% cashback for your weekend shopping and earn 10 X UNIRIGGIT points through its reward program, both with just one card! If you are doing the house chores and grocery shopping for your family, you are definitely one of the super moms or super dads. 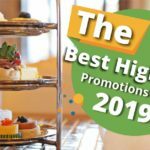 There are a few cards that allow you to enjoy unlimited savings and exclusive deals from time to time at the lowest cost possible. If you prefer to save more than using cash, you should know that there are several credit cards that offer great savings for grocery shopping such as Alliance Bank You:nique credit card that offers 3% cashback rate without minimum spending or monthly cashback cap. You find that most of the best deals are available online and you prefer to skip the queue to get your favourite stuff by using a laptop or smartphone. 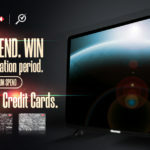 On top of that, you love to enjoy exclusive deals with a credit card or two. Let’s face it, we are all becoming online shoppers whether we realise it or not. If you want to save more from your next online shopping routine, RHB Islamic Smart Value-I offers a maximum 5% cashback for online shopping, or UOB VOX Visa offers 5% cash rebate for online spending with a minimum spend of RM50 in a single receipt. 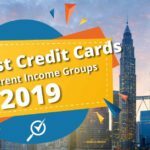 These are some of the great credit cards for you! Whether you are Muslim or non-Muslim, if you believe in Shariah-compliant financing options, you are most likely to use an Islamic credit card which functions similarly to a conventional credit card but with some slight differences in the offered features. 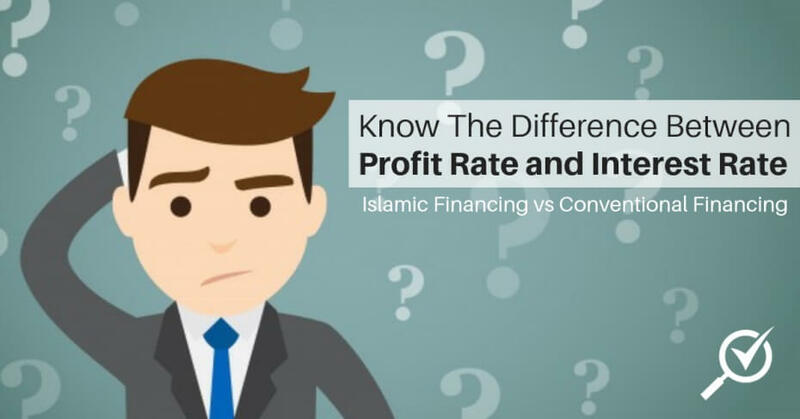 One of the differences in Islamic credit card is the replacement of the interest rate with a profit charge. You love to travel and see the world with your own eyes. With a card that fits your needs, you can earn air miles and redeem free flight tickets while enjoying exclusive deals such as free travel insurance and access to plaza premium lounges on your next holiday. If you choose the right card, you just might land yourself free travel insurance and unlimited access to premium plaza lounges at KLIA by buying a flight ticket with the card such as AmBank Platinum credit card. Whether you are an Uber or Grab driver, or you are frequently in the driver seat going from one destination to another, you have one single goal and that is to save on fuel consumption. A card that allows you to save money when you fill up petrol is a lifesaver. Not really a believer in a credit card and find that you prefer to spend with cash? 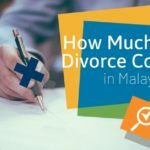 You are one of the many Malaysians who keeps a credit card as the last resort to solve your financing needs such as debt consolidation or cash advance. Given the fact that you are not able to anticipate the exact time you will need to use the card, you should apply for a no-annual-fee credit card to minimise your cost of owning one. You believe in getting the best out of each Ringgit you spend and love to have the privilege to use the credit card to buy what the world has to offer. You don’t mind paying more to get better value for services and goods. For example, Cynthia earns RM10,000 per month and she is looking for a card that offers the best of everything for rewards, cashback rates and airmiles programs. 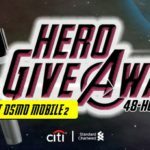 Well, Citi Rewards Visa Signature can be a great credit card option for Cynthia with 5 X Citi Rewards Points for spending in selected merchants which do not expire! You are a busy corporate person with a job that requires you to fly around the world for your business or company. You want a seamless travel experience and hope to have the best out of every trip with comfortable flights and cosy accommodation. For example, HSBC Visa Signature’s reward program offers air miles conversion of 3,000 Rewards Points to 1,000 Air Miles for its users. With unlimited access to the premium lounge in KLIA, Singapore Changi Airport & Hong Kong International Airport and up to RM750,000 travel insurance, this card is welcomed by many business travellers in Malaysia! 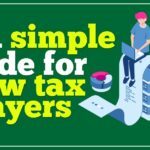 You are an owner of an emerging company and you need flexible financing options for both yourself and your employees to run the business with supplementary cards. On top of that, you wish to keep track of all expenses and put a limit on each card to ease your business finance management. 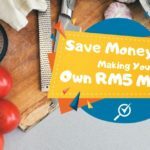 Most importantly, you will want to leverage on the cashback benefit offered by some credit cards to optimise every ringgit spent for your business. For example, the Standard Chartered JustOne Platinum Mastercard that offers a maximum 15% cashback rate, you can easily save up to RM1,000 a year by using this card to spend for some of your business expenses! You are the owner or admin & finance manager of a company that issues a credit card to your employees. Integrated with your company’s account, you can easily track all the expenses and manage your company’s financial position. For those own their business and wish to apply for a credit card, you need to have a different set of documents to be eligible. On that note, freelancers may need to register their service as a sole business in order to improve their chances of getting a credit card or loan in the future. The income level requirements may differ across banks as some may factor in foreign currency exchange while others may not. 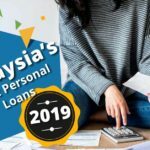 It is still safe to say that you should earn at least RM24,000 of annual income in order to qualify yourself for a credit card. It usually takes one to two months for the bank to process your credit card application. A complete credit card application will include the required documents including a copy of your identity card, income statements and also Employee Provident Fund (EPF) statements. If you do not hear from the bank and wish to check the status of your application, you can always call the bank’s hotline number. Depending on which channel you applied through, you can always refer to the channel such as a specific branch, agent, or comparison site. For those who applied through a banking site, you can check your application status on your account over the internet. 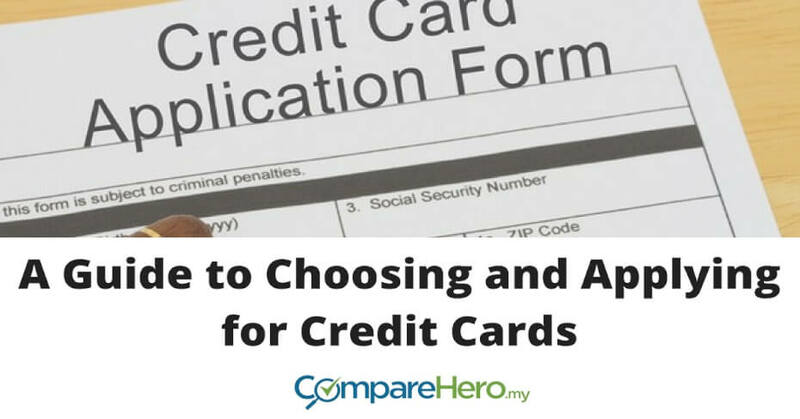 If you applied through CompreHero.my, call us at 012-385 0211 (Mon-Fri, 9:00am – 6:00pm) and we will update you from time to time until you successfully get your ideal credit card. Some banks have an online application where you get a tracking code, which you will need to have with you when calling their hotline, as they will need it to pull up your record. If you have received a notice from the bank that your application is declined, there could be a few reasons contributing to it. However, it is best to consult the bank by calling up their hotline to find out the specific reasons so you can resolve them quickly. Most importantly, you must polish your credit record and make prompt payments for all of your financial commitments for at least six months (the longer the better!) before applying. Remember, even if you are not applying for any financial product, you should still be making prompt payments, as it helps to improve the chances of the bank approving your application in the future. Through your credit report, banks will be able to see your financial history of up to six months, so make sure you credit reports is updated from time to time and contact the credit rating agency if you need to update or make amendments. If you have been missing or making late payments a few months before you apply for a loan, there’s a strong possibility the bank will reject your loan application because of your poor payment pattern.